Tangente from NOMOS Glashütte is the most widely-known watch from Glashütte; no other model from this town famous for fine watches has been in production longer. It is often described as a 'Bauhaus watch'--and in 2019 the German Bauhaus movement is turning 100 years old. To mark the occasion, Tangente is available in a nine-part special edition, with each version limited to only 100 timepieces. These watches come in three sizes--33, 35, and 37.5 millimeters in diameter, for men and women alike, and each one comes in every primary color: a sketch paper colored dial, black numerals and hands, encircled by a ring of red, yellow, or blue. Paul Klee's sketches were one of the sources of inspiration for these watches. As Klee, the 'magician' of Bauhaus, once said: "Art makes things visible". And that is why the hands follow a color ring, elegantly depicting the basic principle of the watch: time moving in a circle. 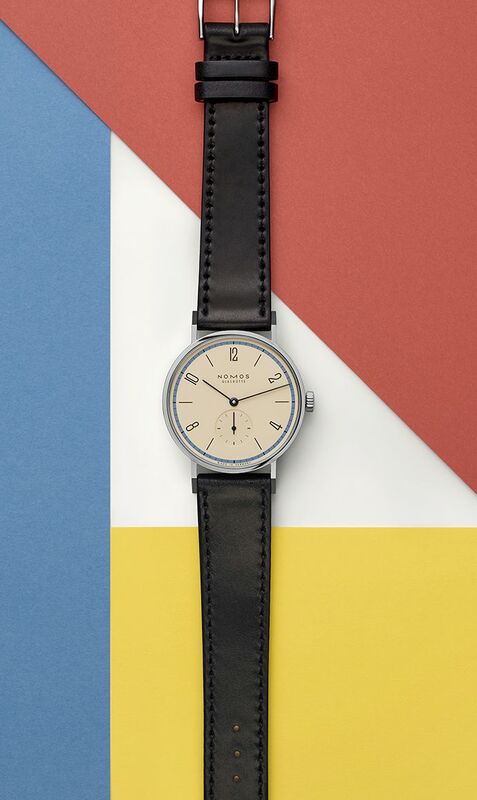 Not only this special edition, but all watches from this brand based in Glashütte are "timepieces that members of the Bauhaus movement would design and wear today," NOMOS CEO Uwe Ahrendt is certain. "After all, they went about their work then the same way that we do now when it comes to designing our watches and the R&D that goes into the calibers. By concentrating on the essentials, leaving the superfluous to one side, and being incredibly demanding when it comes to the details that remain. By standing for the highest quality and a different, very contemporary kind of luxury. As well as a particularly beautiful form of 'Made in Germany'." These models will be available at selected retailers from the end of August 2018. With a birthday gift from NOMOS Glashütte -- as these watches come with a generous '100th anniversary discount'. 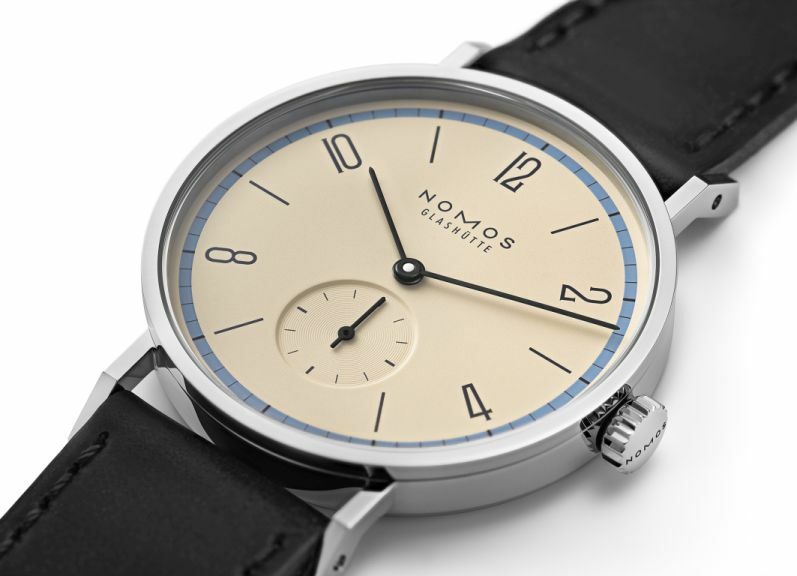 Previous Topic: Any thoughts on the NOMOS Tangente LE "Ein Jahrhundert Bauhaus"?